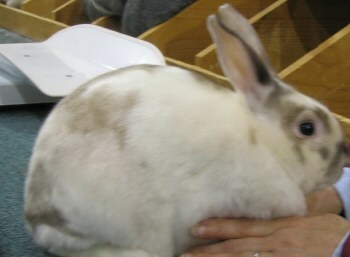 Tort with Harli factor or "Torted TRi"
As Part of the ARBA judges education committee I have been collecting photographs of rabbits and cavy DQs and Color variations. 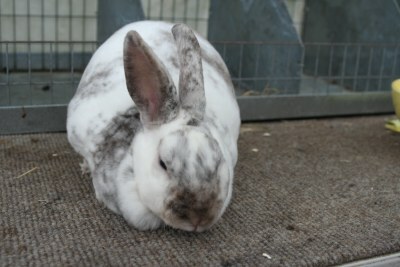 Those that often are seen in Mini Rex I have put up for visitors to view. Torted Tri is a DQ Anytime you are exhibiting in a Broken Class and a Torted Tri is placed feel free to place a protest. 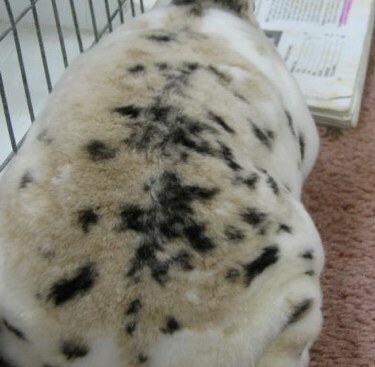 A word of caution to Mini Rex exhibitors: look carefully at a breeders breeding practices, crossing Tri into agouti, shaded or otter lines is a path to destruction, adding the harli gene to Tort, Agouti , Shaded or Otter lines creates a genetic nightmare that will not be fixed easily. Beware the breeder who claims to have only a few hole and raises many varieties> Wins do not tell the whole story the pedigree will, when a mishmash of varieties and crossing of incompatiable varieties is evident it is best to avoind the area altogether because your money will be wasted. As breeders add the striking Otter to their breeding programs a few Broken Silver Martins are bound to pop up , Frequently they will be mistaken for Broken Black but that is not the case. A quick way to identify these non-showable animals is to look at the ears and nostrils note the light color on the inner ear and ear lacing. Silver Martin: These are like the Otter without the Tan factor. Easily spotted in the Solid varieties because the tan Triangle and side markings will be white. But they will be problematic in the Broken Varieties particularly when the marking pattern is light. The problem is not so much that they will be mistaken for Otters but that the Silver Martin Brokens will be mistaken for Black, Blue Chocolate and Lilac. Usually looking over a class of Brokens the ears will be the first indication that something is just not right. The inner portion of the ears on a Silver Martin will be silver-white. 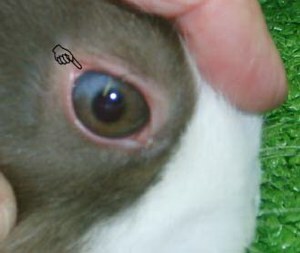 To verify that the animal is not an Otter start by checking the face, look for tan around the nostril opening, if the nose markings do not cover the nostrils then move to the neck to look for evidence of tan where the triangle would appear in a solid Otter, if the side marking extend far enough down the side portions of the tan band on the side should be evident. 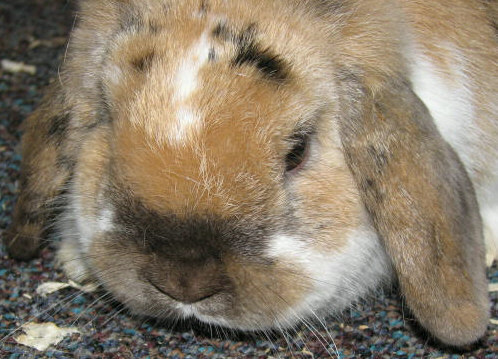 Check the eye circles and ears there should be some tan / cream coloring evident here. If you are unsure ask several people with good color identification skills to look them over before you show them. Not all judges have good color identification skills and often they are expected to shuffle through too many animals in a day to spend extra time trying to find a tiny spot of color. Fox: This is the Martin version of Tort simple to spot as a solid because they will have a white belly like an Otter or Martin. Like the Broken Silver Martin the Ears will be the first thing that does not look right. 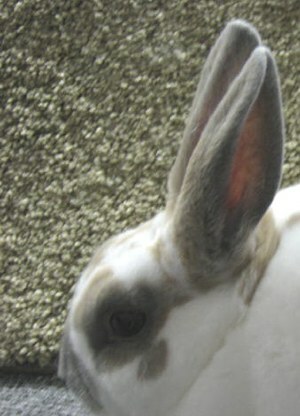 In the Broken you must examine the ears carefully for the tell tale white lacing on the inside of the ear. The problem here is with the dilute versions, particularly the Lilac Fox as it is very often confused with Lynx. Ethics plays an important role here, you must be fair and accurate in your evaluation of color for the Lilac Fox has been passed for years as Lynx. Martinized Himalayan. We see the DQ listed for this but few really know what it means or how to identify it. Once you know how to look for it there will be no problem in spotting it. 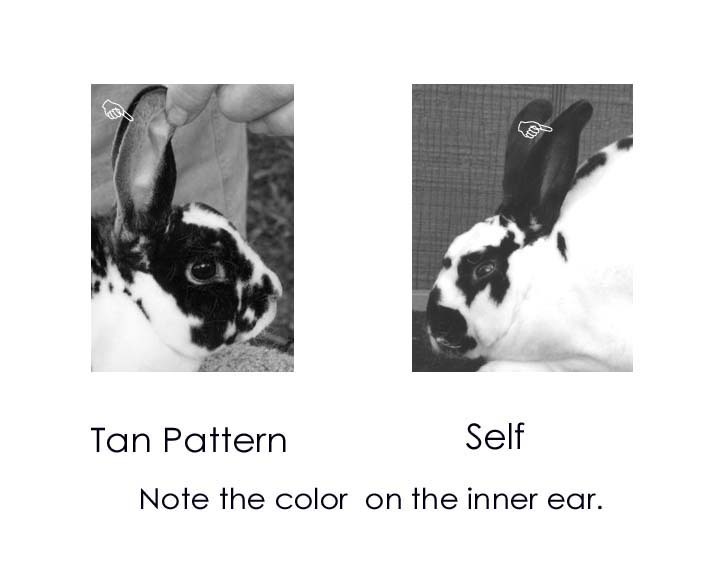 Typically it is the ears that we notice first; they have a white inner surface and white edges that tends to draw our attention. Like discerning the Silver Martin from the Otter you should look at the ears and face first. 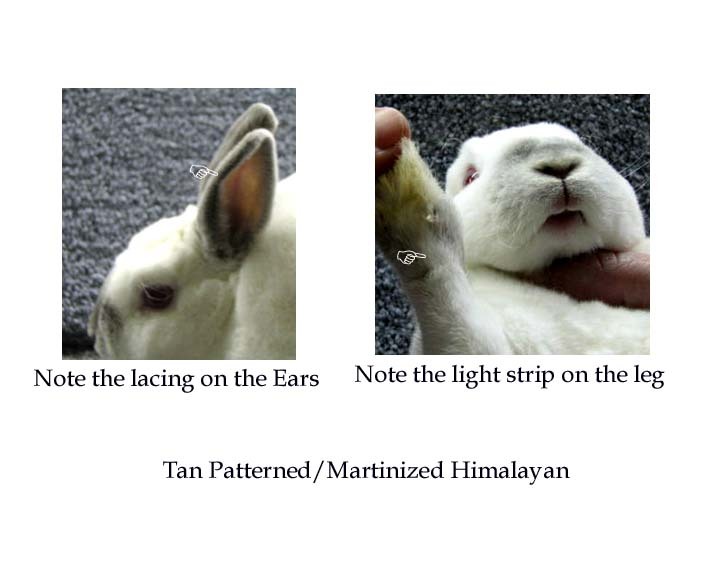 The white lacing on the ears and nostrils are the first indication that the color may be incorrect for Himalayan, the confirming point will be the tail, a white underside to the tail will be present in a Martinized Himalayan. 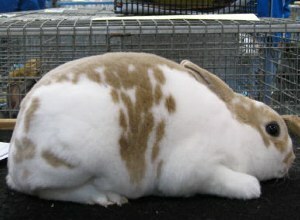 You may also notice white extending up the back of the front legs as it does in Martins. 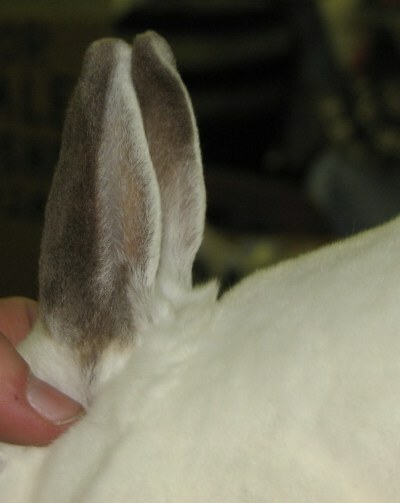 Lightly marked Himalayans carrying a lot of frostiness to the points (an undesirable characteristic) can sometimes appear laced but careful examination will separate the two since the underside of the tail will have some color to it. another Martinized Himi ear pattern. 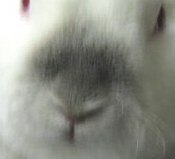 nostrils will show light edges. Blue Tortoise: A non recognized variety that is mistaken for a Lynx. 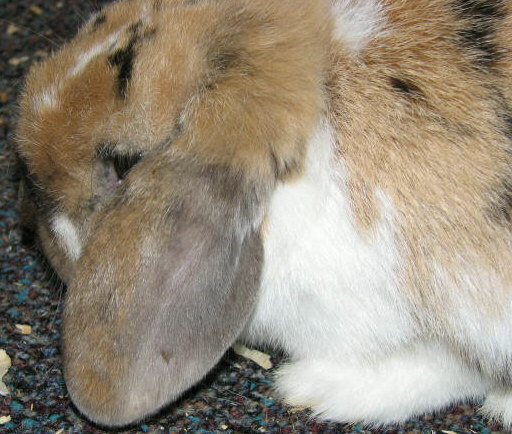 Note that there is no lacing on the inner ear as we would find in the correct Agouti Pattern. 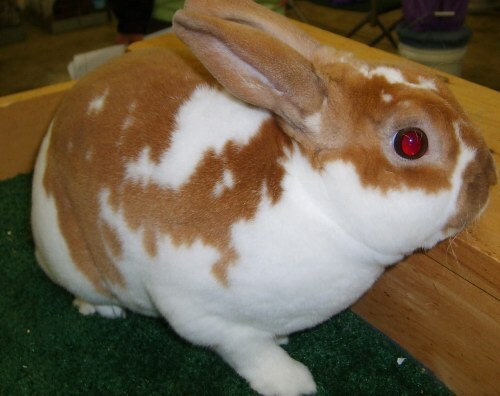 Chocolate Tort: A non recoznized variety with a brillent Red body color and faint shading. Look for a Ruby Glow in the Eye. Fawn a Dilute Red : another variety mistaken for Lynx. 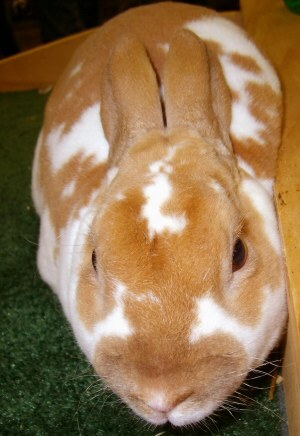 note that the color fades gradually from Fawn to cream with no discernable banding. Note the lack of defined bands. Note the Fawn band with blue white undercolor and a lilac surface This is close to the desired color for lynx. 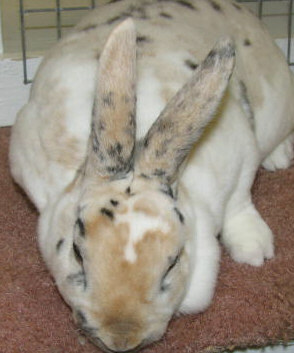 Another very serious inherited Color problem A tricolor with Black spotting on a Fawn/Sand background. This will be Disqualified under a knowledgeable judge. 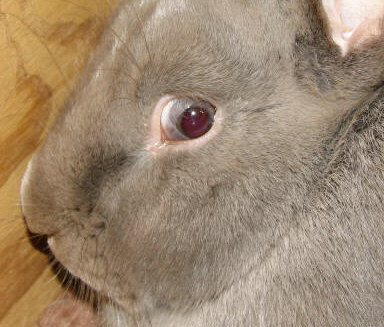 Here we try to show where there are two colors in the iris of thios Dutch, this little guy has a large blue sopt in the other wise brown eye. 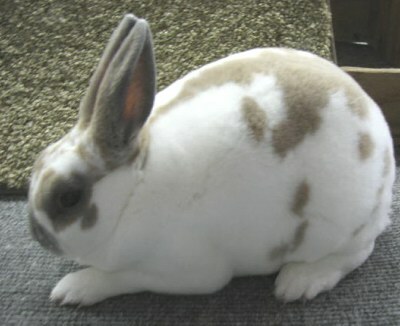 This is a common DQ in Dutch and Vienna marked rabbits . Often the area is small and found in the lower edge of the iris. 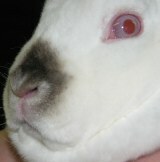 Here we show a very serious inherited physical problem that is becoming more prevalent in Mini Rex. Originally a serious problem in the Florida white, which FW breeders have greatly reduced buy severe culling . I recall a number of years ago having a heated argument with the mother of a youth convention exhibitor who wanted to put a REW with this condition in the NMRRC 24K auction. I declined to accept the animal and explained why but the mother was quite irate that I would say no to the animal. 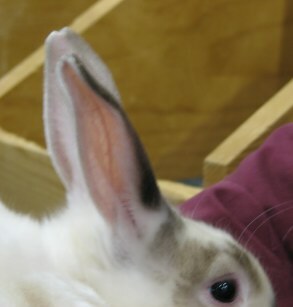 She made quite a point of telling me later that they sold the rabbit for $100. I am sure the buyer later found that they had introduced this undesirable trait into their line. The Black Buck shown below was entered at the 2005 ARBA Convention. I do not know if it was caught at judging but when I was cooping up to go home I spotted him and took a shot of his eye. 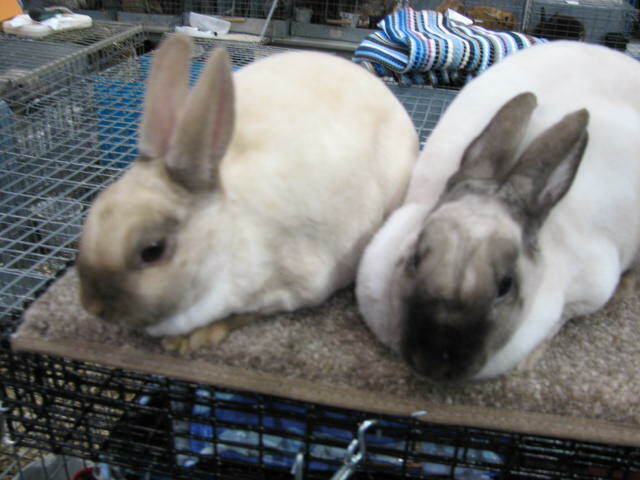 The other two photographs are of two Lilac rabbits ( the Breed) I DQ'd at a show in 2006. They demonstrate a more advance stage of this Inherited condition. This the same condition that prevented the acceptance of both the Chocolate and Sable MR in 1989. The conjunctiva ( outer membrane surrounding the eye begins to grow past the line dividing the white of the eye and the colored (Iris) portion. This is not to be confused with the third eyelid that moves across the eye. 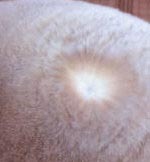 This growth does not move, in the advanced and severe cases it will almost completely cover the eye. The bottom photo shows it best in this set of photographs. With the introduction of the beautiful Sable Point we now see a few oddities popping up. One is the Chocolate Point, shown here next to a Sable point. Using these in a breeding program will onl;y serve to keep this recessive gene in your line. The color appears brassy over the back and the points a decided chocolate tone, eye color lighter brown. After Reading on Showbunny about Magpi Mini Rex being shown and placed in the Broken Class. We found one to illustrate what should not be shown nor placed. 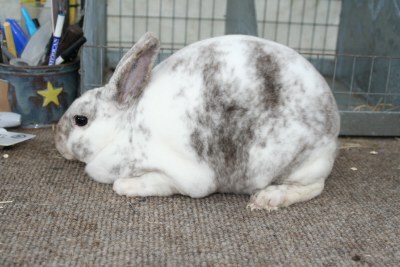 As time goes by we will see more Rex coated rabbits from Mini Satin liters, this is due to the introduction of Mini Rex into some foundation lines of Mini Satin. 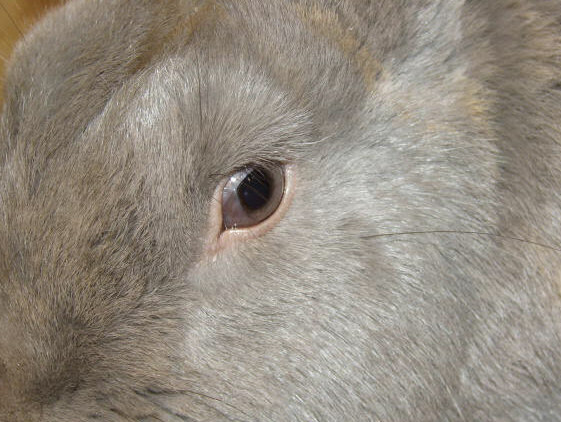 Be aware of these and watch for very fine coats, soft texture and that sheen which can be seen on the ears and nostrils where the fur is short. 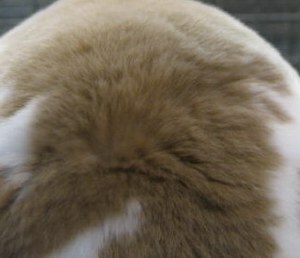 It is also evident when the coat is parted and light is allowed to cross the fur. Some Rex coated Satins will exhibit a lot of course guard hair with a marked kink. I will have photos of some REW Rex coated Mini Satins later in the summer.